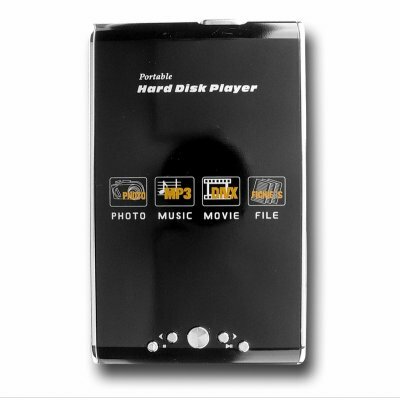 Successfully Added Portable Hard Disk Player - Multiformat Movie Player to your Shopping Cart. HDD Player for taking all of your digital media and files out of your computer and into a portable movie playing device. This PMP will play the most popular movie formats including DivX and Xvid, as well as displaying JPEG pictures and playing MP3, WMA, CD, and WAV music files. Connection is very easy to the TV using the AV OUT, and there is a VGA OUT as well for connecting directly to your computer display. Finally, this Portable Hard Disk Player comes with a SD/MMC card reader for easy transfer of digital files, and compatiblity with all the most popular OS including Windows Vista. Make your digital media come alive with Chinavasions portable and affordable HDD Player.